Solar owners who install a solar battery alongside a smart meter will keep receiving their export payments under the FiT scheme, Ofgem has confirmed. Have you been avoiding installing a solar battery because you think you’ll lose your export FiT payments? You’re not alone, but the latest guidance from Ofgem has clarified the issue and it’s very good news for 900,000 UK solar homes: domestic customers who already have FIT-accredited solar and wish to install a solar battery behind a smart meter will keep their ‘deemed’ (estimated) export payments. 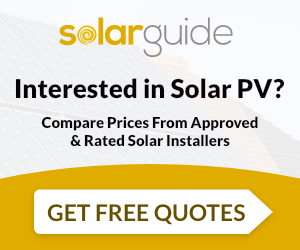 Get Free Solar Battery Quotes: Get quotes and compare prices. This new clarification is great news for the UK’s 900,000 solar homes which may have been put off the idea of a solar storage system with a smart meter under the impression that they would lose some of their FiT earnings. What Does the News Mean For You? The Generation Tariff pays you for the energy generated your solar panels; this is measured by a generation meter. The Export Tariff pays you for the energy you don’t use which is automatically sent to the Grid. Unless you have an export meter, this figure is usually estimated by your energy supplier at half of your generation figure. Energy bill savings: By storing energy during times of lower demand you can reduce the amount you need to buy from your energy supplier when energy usage is higher, saving you money on your energy bills. Backup power supply: When a power cut strikes a store of this stored energy could be invaluable to your household. If you have an electric vehicle a solar battery can also provide free, renewable charging power for your car. In most cases, i.e. homes with no export meter, installing a solar battery has no impact on the export FiT payments as this is paid based on 50% of your generated energy, whether you send 50%, 10%, 100% or none of your energy to the Grid. What’s the Confusion About Solar Storage and Smart Meters? However, if you have a smart meter it will automatically track how much energy you’re using vs. exporting. If you combine this with a solar battery, keep your surplus energy and send less to the Grid, the fear was that this would mean your export tariff payments would reduce or even stop. This is largely because of conflicting guidance which said that solar homes installing smart meters would need to switch to export metering and would lose their ‘deemed’ or estimated export payments as well as other guidance which said that homes would not receive payments for exported energy at all if they installed a solar battery. By clarifying that homeowners can install a solar battery and a smart meter and keep their ‘deemed’ export payments, Ofgem has removed a big barrier for 900,000 solar homes in the UK who may have been discouraged from solar storage in the past. Solar panel owners can now invest in a solar battery alongside a smart meter and be sure they will continue to receive their estimated export payments. STA CEO Chris Hewett said: ‘Credit to Ofgem for listening and for doing the right thing here to get domestic smart homes moving forwards. We now need Government to remove the much higher 20% VAT for retrofit battery storage systems, compared to 5% VAT for new PV and storage system, to really boost this market. If you’d like to find out how much a solar storage system will cost to install in your home get in touch with us today. The best way to get the best deal is to compare quotes from multiple installers. To be eligible for the FiT scheme you need to ensure your solar technology is installed by an MCS accredited company. You can complete our quick and simple enquiry form today and we’ll find you free quotes from up to 3 accredited solar installers in your area who can advise you and provide you with their most competitive quote for the job. Note: The FiT scheme is closing to new applications on March 31st 2019. However, solar PV systems registered and successfully accepted onto the scheme before this date will be eligible to receive FiT payments for the next 20 years.